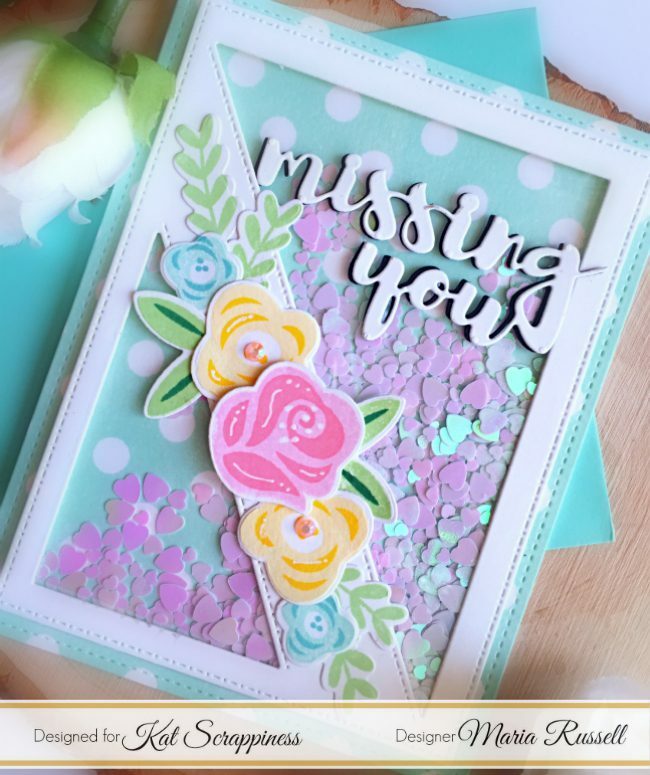 It feels like it’s been ages ago since I last posted on this blog (or maybe it’s the jet lag talking) but Maria here with you today to share this very simple shaker card, showcasing the Stitched Diagonal Backdrop die with the Missing You Brush Script Word & Sentiment die, the Fab Flowers 4×6 Stamp Set by Lawn Fawn and the Fab Flowers Dies with some Pretty Pink Jewels and Hearts of White Sequin mix. I stamped my images with some Lawn Fawn inks using my Tim Holtz stamping platform. I die-cut the images with its coordinating dies. I die-cut another piece of some Neenah 110 lb. 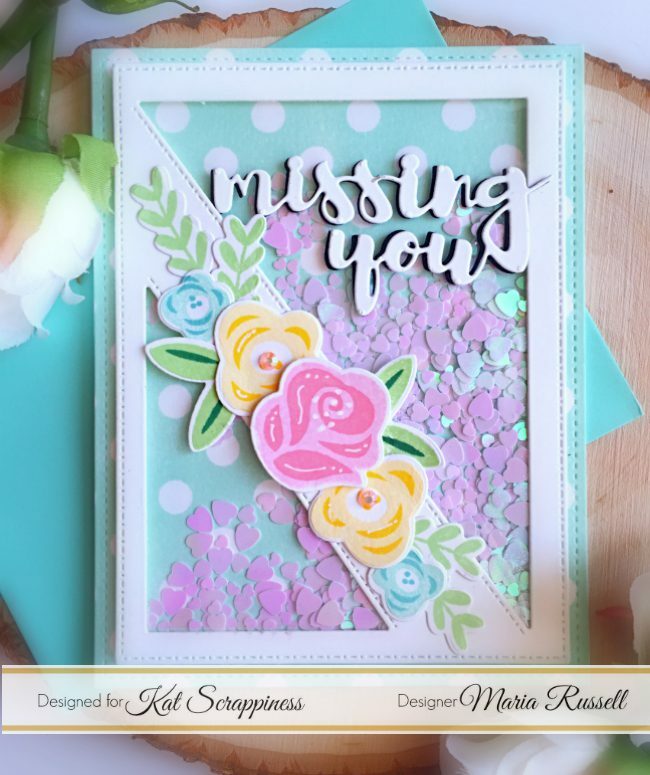 card stock using the new Stitched Diagonal Backdrop die. 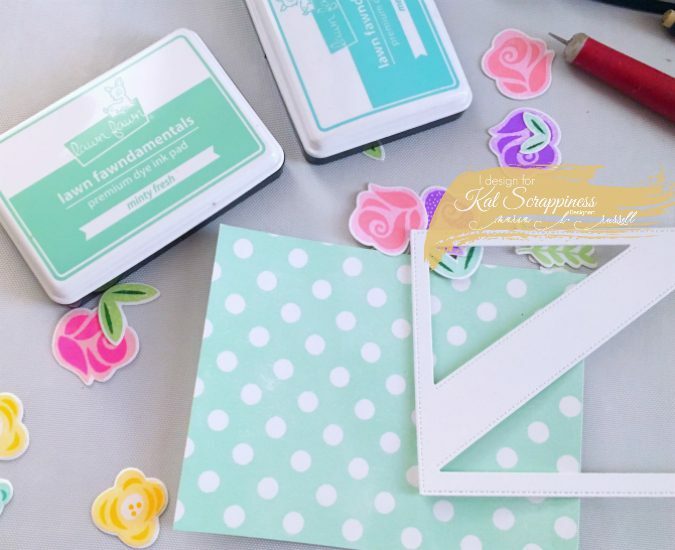 This die cuts like butter and is perfect for shaker cards! I adhered my acetate onto the die-cut and added foam adhesive to create the well for my shaker card. 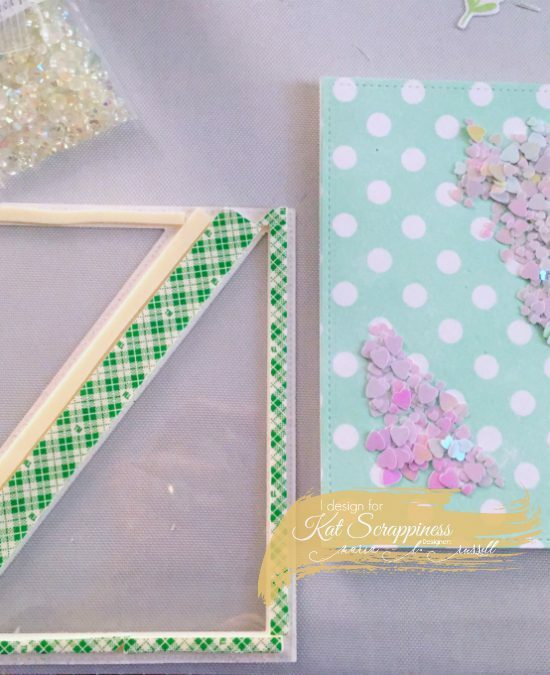 I poured the Hearts of White Sequin Mix on my card base and positioned it to make it easier for me to adhere my shaker well on top of the card base. 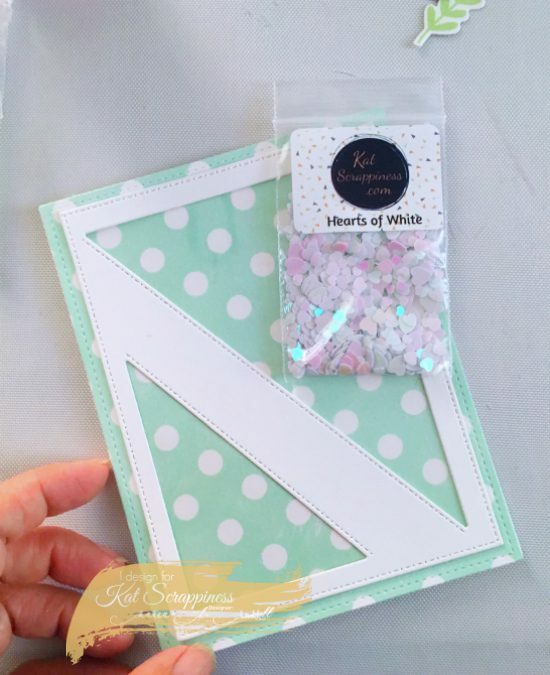 The new Hearts of White Sequin Mix is so beautiful, I cannot wait to order more from the shop. Also, don’t you just love the stitching details on the die-cut? I am in-love with this design. I hope you like my shaker card today. The supplies I used are listed and linked below. Please don’t forget to use my coupon code “MARIA10” for 10% off your order at the shop. While you’re there, don’t forget to check out the sales and specials going on. I hope you have a wonderful day and happy crafting! 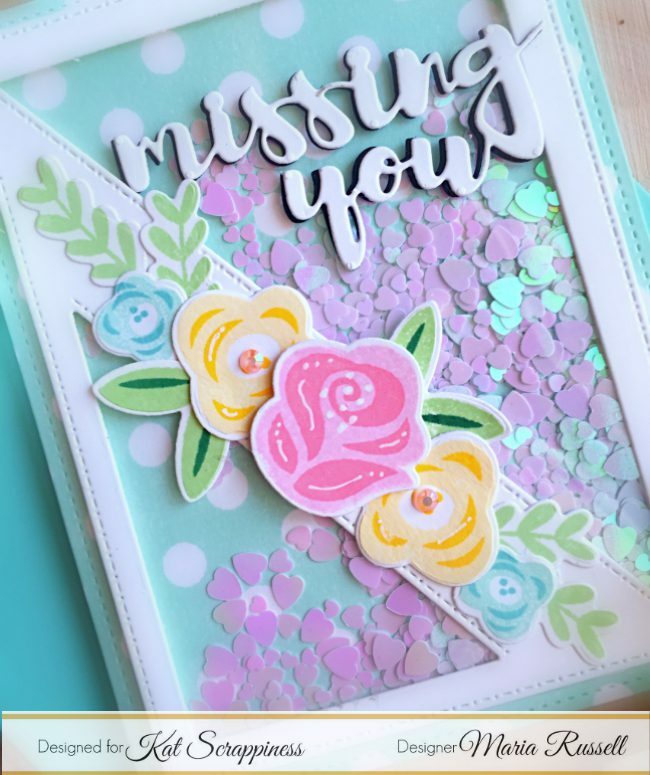 This card is so stunningly beautiful that I had to take a quick break from organizing my craft room to tell you how much I LOVE it! !